◊ Came with pre-orders of the band's Negotiations CD and LP through Sub Pop. Also included with purchase from some retail outlets. ◊ This CD is meant to be played at the same time as Negotiations from a system set up behind the listener to simulate a Quadrophonic set up. 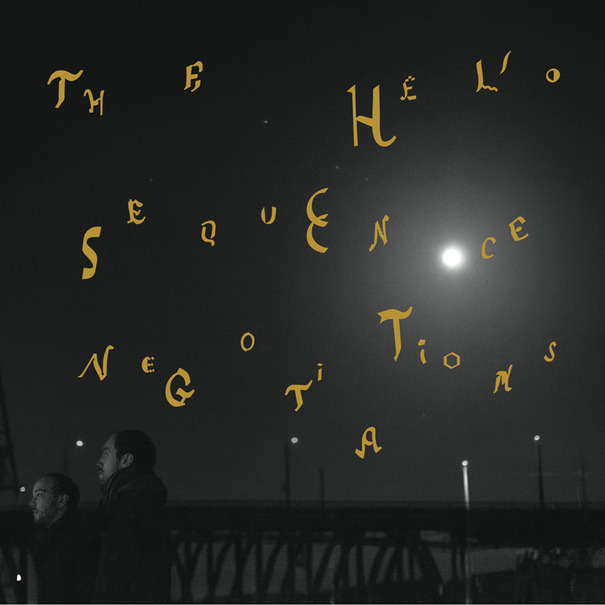 ◊ Negotiations, the fifth full-length album written, recorded, and produced by The Helio Sequence, would sound different had it not been for a flood. In 2009, while touring in support of Keep Your Eyes Ahead, singer-guitarist Brandon Summers got an unexpected phone call in the middle of the night. Back home in Portland, OR, the band’s studio/practice space was under nearly a foot of water. Heavy rains had caused the building’s plumbing to overflow like a geyser. But Summers and drummer-keyboardist, Benjamin Weikel, were lucky: All of their best equipment was either on tour with them, or racked high enough off the studio floor to be spared. ◊ Still, the band needed a new home. After three months of searching, Summers and Weikel settled into a 1500-square-foot, former breakroom-cafeteria in an old warehouse. They no longer had to work their recording schedule around loud rehearsals by neighboring bands, but were free to create late into the night in uninterrupted seclusion. With twice the square footage, the space also had room for more gear, a lot more gear. They decided to use this opportunity to try something different. 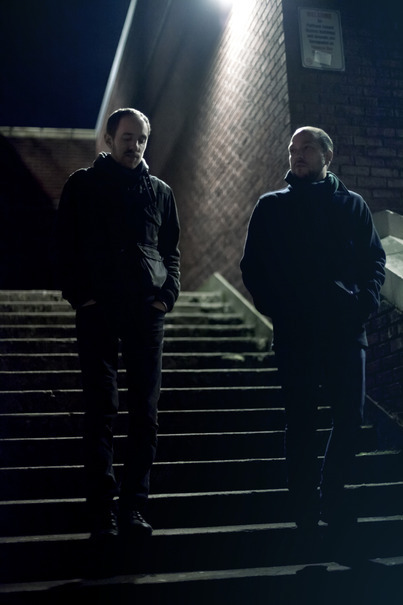 ◊ Summers and Weikel, who started playing together in 1996 and self-produced their first EP in 1999, have always been gearheads. But it wasn’t until the success of Keep Your Eyes Ahead that they could afford to step things up: The duo spent months (and many hard-earned dollars) retooling their studio. They left behind much of the cleaner-sounding modern digital studio equipment and instruments they’d always relied on, and embraced vintage gear that would color their recordings with a warmer, deeper sound: Tape and analog delays, spring and plate reverbs, tube preamps, ribbon microphones, and analog synths. ◊ As the new studio came together, so did the songwriting. It proved to be the most spontaneous, open, and varied writing process they had ever experienced. Weikel, who was listening to minimalist/ambient composers like Roedelius and Manuel Goettsching, had created dozens of abstract synth loops of chord progressions and arpeggios. The two would put a loop on and improvise together with Summers on guitar and Weikel on drums, recording one take of each jam. Other songs like “One More Time”, “October” and “The Measure” quickly formed from rough one-minute sketches by Summers, while the down tempo “Harvester of Souls” was completely improvised musically and lyrically in a single take. ◊ Tempering the free form approach to writing was Summers and Weikel’s meticulous attention to production and arrangement. Taking cues from the spaciousness, subtlety, and detail of Brian Eno and late-era Talk Talk records, they moved forward. Listening to the recorded live jam sessions, they set to work transforming the ditties into actual songs. “Open Letter,” “Silence on Silence,” “Downward Spiral” and the title track — some of the spacier, mesmerizing songs on Negotiations — came together in this way. Summers’ one-minute demos were brought to life in collaboration by Weikel spending weeks working on sound treatments and synth landscapes to enhance the songs. ◊ This collection of shimmering, reverb-heavy songs is a meditation on those inner dialogues (hence, Negotiations) with solitude, memory, misgivings, loss, atonement, acceptance and hope. Most of all, it’s a record that serves as a testament to the beauty, blessing, and excitement of a fresh start. 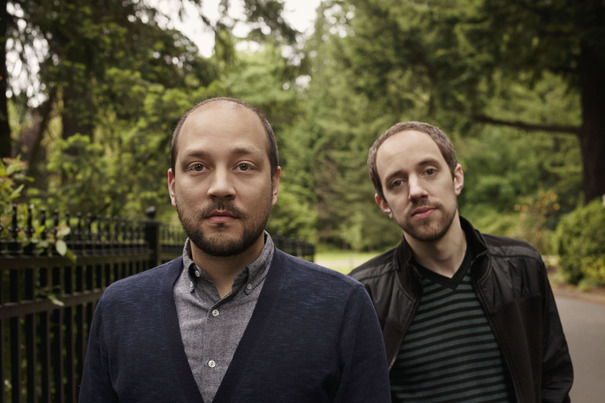 ◊ Portland, Oregon's dreamy indie folk duo the Helio Sequence have built their discography on a series of somewhat unfortunate but ultimately sound-shaping external circumstances. Starting off with a focus on ambient soundscapes and buried vocals, the band's experimentation with bringing the vocals to the forefront for its yelpy 2004 album, Love and Distance, resulted in singer Brandon Summers damaging his vocal cords shouting the songs out night after night on tour. His bruised voice was reborn in a raspy Waits-meets-Dylan style, which informed the overarching indie folk feel of the band's 2008 breakthrough, Keep Your Eyes Ahead, and brought out its more somber, low-lit moments. In the four years between that album and the Helio Sequence's fifth full-length, Negotiations, their practice space/studio flooded while they were on tour, wiping out some of their gear and leaving them in need of a new place to record and create. Instead of a shared practice space, the duo found an enormous disused industrial space in an otherwise unoccupied building and set about sculpting the songs that make up Negotiations. Their ability to stretch out in a much larger space (one without anyone else around to come into the band's mental landscape) is reflected in the patient tones and insular approach to almost every song here. Spacious rockers like the title track and "The Measure" are defined by their open, chiming guitar lines and Summers' languid melodies. The folk tendencies that filled Keep Your Eyes Ahead are revisited on songs like "December" and expanded on tracks like the completely improvised "Harvester of Souls." The band's experimentation with improvised lyrical forms, synth patches, and warm analog echoes was also enabled by late-night sessions in an isolated environment. The lush synth pop of a song like "Silence on Silence" is sprinkled with spacy echoes and warm washes of keyboard bass. The song is a prime example of how the band has deepened its sound even further, adding atmosphere to its already metered pop songs. Negotiations' 11 tracks ebb and flow in similar ways to one another, but upon close inspection, the deft placement of nearly hidden sonic details is what makes the album so interesting, and breathes life into the band's already enjoyable soul-searching pop.